Twongo has a bright future with visionary leaders, I look forward to playing a key role in the cultivation of the company and the sales organization. 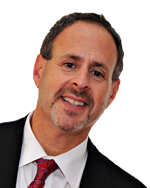 Twongo, LLC announces the recent hiring of Jay Diamond as National Sales Director. Jay joins Twongo to build and lead Twongo’s national expansion. With over 17 years in the media industry, Jay is widely known as a dynamic sales organization leader and team builder who understands the industry’s evolving needs. Jay has won many national awards for directing sales organizations and is “extremely excited to join this creative and talented team.” Jay’s career includes traditional and new media work with The McClatchy Company, Citysearch/Ticketmaster, Curtis Media Group and American City Business Journals. “Jay is a leader with experience critical to implementing our vision, strategy, and positioning of multiple brands across print, online, events, and specialty publications,” affirms Brad Halferty, Twongo Founder and CEO. “We welcome Jay to the team and are excited to see him effectively leading our vision,” says Scott Bowen, Twongo Co-Founder and COO. Launched in 2010 by Brad Halferty and Scott Bowen, Twongo, LLC is a Cary, N.C.-based company that combines discounts, social media and marketing in a unique team-buying service, benefitting both businesses and consumers. Derived from the Chinese concept of "tuangou," or "group buying," Twongo partners with businesses to offer daily and weekly discount deals via daily subscription e-mails, Facebook, Twitter and Twongo's website. As more individuals purchase the deals or "buy-in," the discount increases, resulting in a significant consumer savings on goods and services, while helping merchants create buzz, build brand awareness and attract new customers. With a rapidly growing local subscriber base, Twongo saves Triangle residents over $1 million+ annually. For more information, visit http://www.twongo.com.